Cakes? Cookies? Nope. Let's try candy! I found this recipe in the beautiful book: Chez Jacques: Traditions and Rituals of a Cook by Jacques Pepin. (Thanks Jessica for showing me this new library book!) Eventually, I want to make caramel apples - the perfect fall food! What the heck is wrong with this brand new thermometer from Sur La Table? 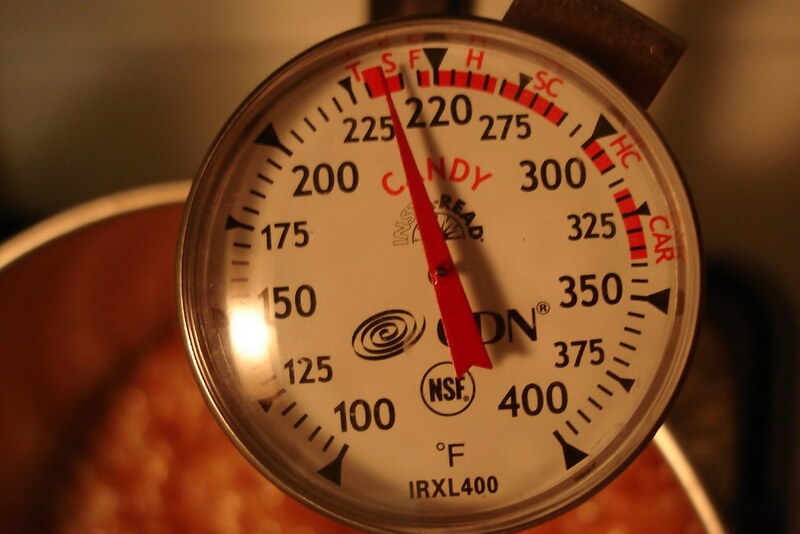 Yes, you see 225 degrees on the left. Then 275 degrees on the right. What should be in the middle? Perhaps 250? Well, no, you didn't buy MY thermometer! 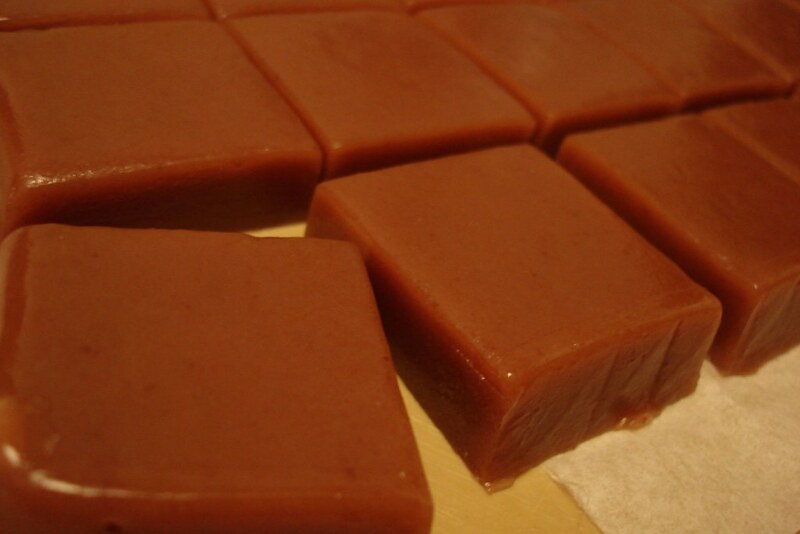 So here is how caramel comes together. 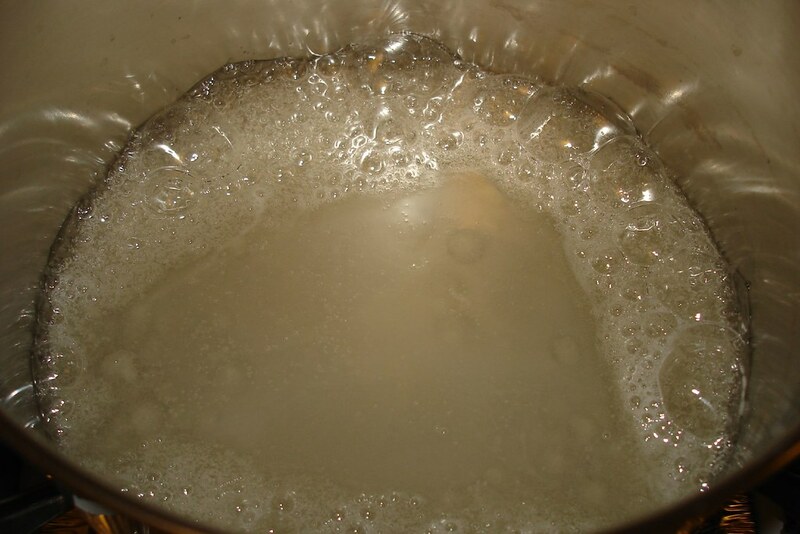 First, a mixture of water, light corn syrup and sugar come to a boil. 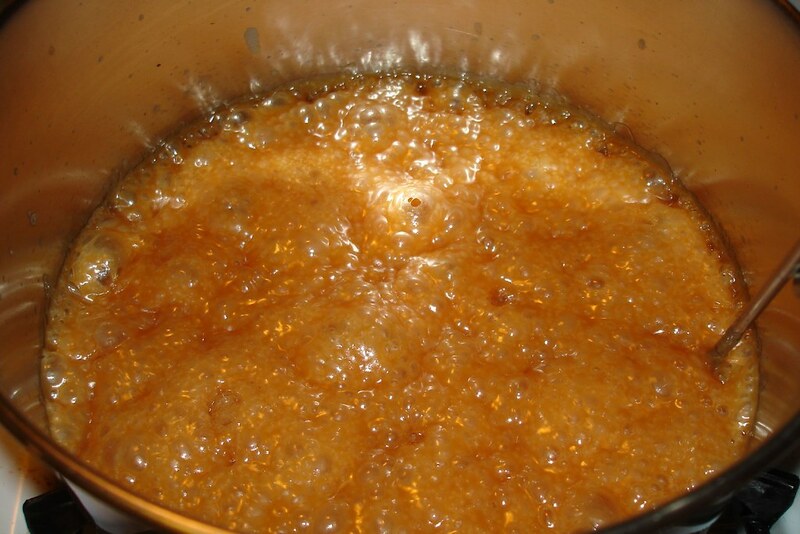 You add heated butter and heavy cream to the boiling mix and let it get to 240 degrees or the softball stage. After about 6 minutes of boiling and bubbling, the yummy smelling mixture gets poured into a loaf pan. 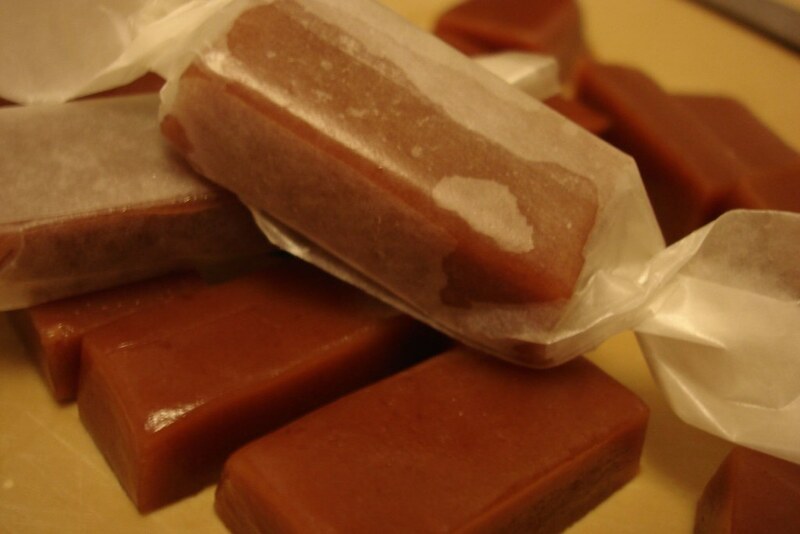 Let it sit for 4 hours to cool off and firm up...then wrap with cute wax paper pieces! After pouring the boiling hot caramel into the pan, I couldn't resist grabbing a fresh Asian pear (I'm seriously IN LOVE with the Asian pear) and slamming it against the side of the stainless steel saucepan. 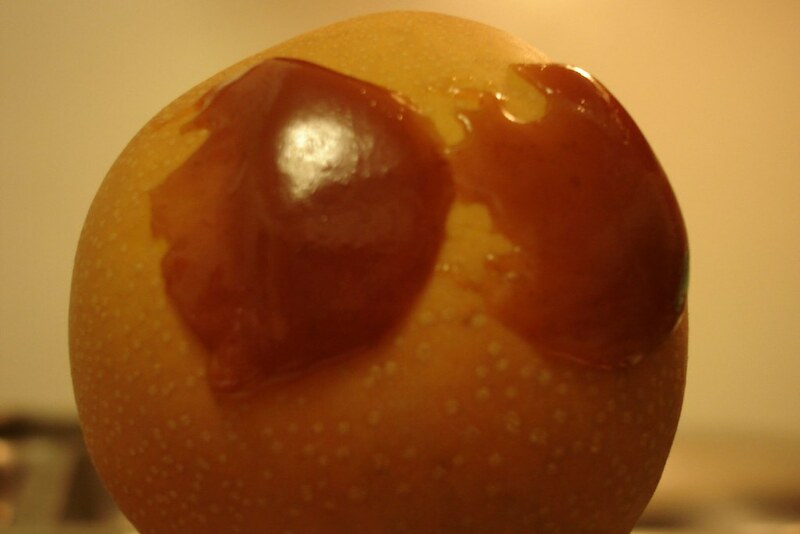 As you can see, it picked up a bit of the caramel for an instant sorta-kinda bikini-looking caramel Asian pear. 220 or 250 degrees of fun!